The American University in Cairo possesses a small interdisciplinary nuclear program. The physics department houses a nuclear laboratory, while the department of chemistry has a nuclear magnetic resonance spectrometer and an atomic absorption spectrophotometer. The Department of Petroleum and Energy Engineering offers courses in nuclear technologies. IAEA former Director General Mohamed El-Baradei is one of the school's trustees. 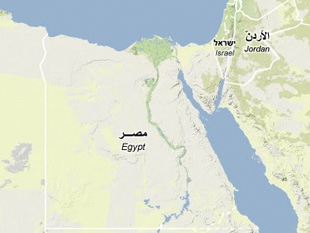 Source: American University in Cairo, www.aucegypt.edu.